5 year old Sam is not like other boys. 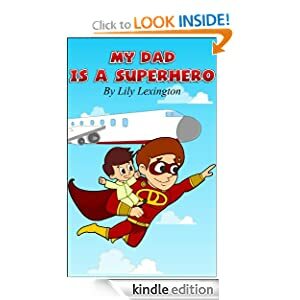 At least not with respect to his Father, who is a superhero. He has these abilities and many more. 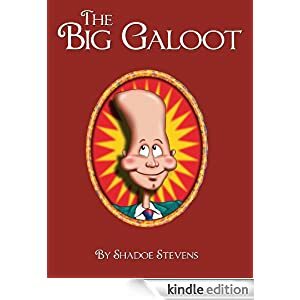 THE BIG GALOOT, the first published children's book by television and radio star Shadoe Stevens, is about bullying, believing in yourself, and never giving up. Warren Galoot has a funny shaped head, pidgeon-toed feet, and size 42 hands ... the biggest hands anyone's ever seen. And the kids all laugh at him. They mock him and trip him and make fun of him, but no matter what happens, Warren says: ""I'm a Galoot / But I have good luck / You can't get me down / I never give up."" Bullying has become almost epidemic in America and we have to start talking about it when children are very young. The next generation needs a better beginning. This insightful, delightful, dramatic, empowering book shows children how bullying feels, and does it in the style of Dr. Seuss.
"" . . . those of us who have been galoots will recognize Shadoe’s book. This is a great story for kids about how it’s all right to be an individual and how it’s not all right to take your aggressions out on someone who’s different than you; because you never know what they have to offer. . . . BRAVO, Shadoe!"" --Whoopi Goldberg"
When hungry aliens begin their 'rain' of terror, break out the umbrellas—the aliens can't eat you with an umbrella shoved in their huge mouths. Looking for yummy human tenders, Admiral Nact-bauk invades the local school. Zack and Zoey lead the counterattack armed with rulers, protractors, and dodge balls. They might have a chance, if Nact-bauk didn't gulp down the only teacher brave enough to stand up to him. Even worse, he forces Zoey onboard the alien vessel for dinner — along with a bucket of honey-mustard sauce. Zack will do just about anything to save her. If Principal Blathers won't help, Zack sees no choice but to 'borrow' the principal's car. Chasing the alien saucers, he meets up with a wrinkly WWII hero who thinks he knows the alien's weakness: electric toothbrushes. Wielding only umbrellas and battery-powered dental weapons, things look grim. Even if the pair manage to rescue Zoey, there's the small matter of escaping a spacecraft flying at over two hundred miles an hour. 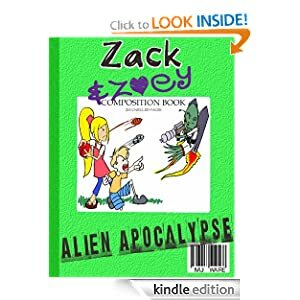 Zack & Zoey's Alien Apocalypse is approximately 17,000 words (similar in length to Diary of a Wimpy Kid) and contains no cursing or strong language. Formatted for the Kindle Fire as well as black & white kindles--with over 50 full-color images! Maggy's grandfather knows he'll be dead by the time she's born. The only gift he can afford is one he makes with his own hands. 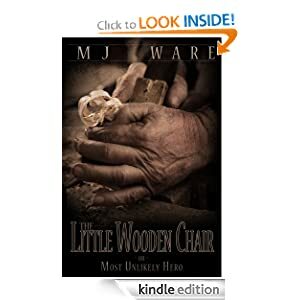 As he finishes the little wooden chair, he has no idea that his gift will not only be her protector and companion, but it will teach her the meaning of Love. Now includes two free bonus short stories: The Price of Friendship & Blacktop Bully. This book may seem like a book for little kids, but once you start reading it, it gets better and better. Definitely a book I would recommend to a friend. Worth every penny. If you have doubts about buying it the forget them! You will not be disappointed, that I can assure you of. 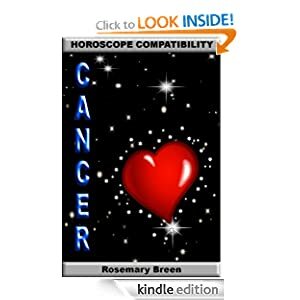 Pick up a copy of this fun, no-nonsense guide to the Crab; learn about this Star Sign; see if you two truly are an astrological love match. Children across Texas are disappearing without a trace. The police are unable to connect the cases, while fear and panic sweep the public. Fresh off of the defeat of The Bully Clan, the Whiz Kids are ready to relax and enjoy the summer. But when Hannah Simmons is abducted from a park in broad daylight, Theo Phillips reactivates the superhero league to find her. 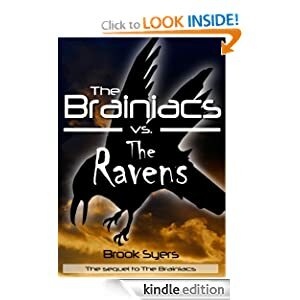 As they dig deeper and follow the clues, they come face-to-face with their most dangerous adversary yet: The Ravens. Will they be able to find Hannah before it’s too late? 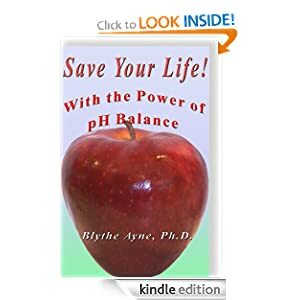 Save Your Life with the Power of pH Balance by Blythe Ayne, Ph.D. Included you will find actions you can take NOW to initiate healthy pH balance. The award winning office girl gets down and dirty, but can she dig herself back out? Or will she succumb to the terror within the walls.